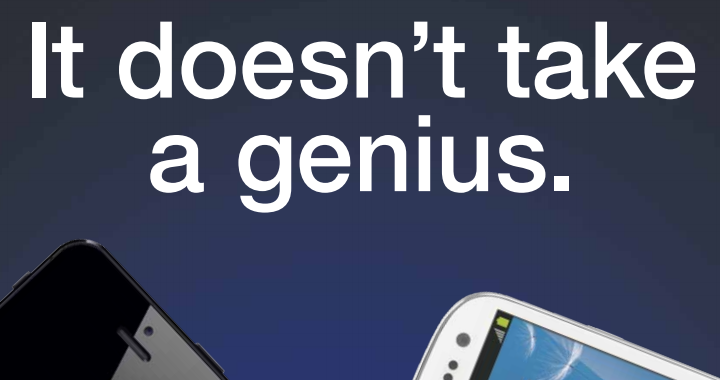 Samsung has begun running a print ad this week, taking the iPhone 5 to task for all of its features. 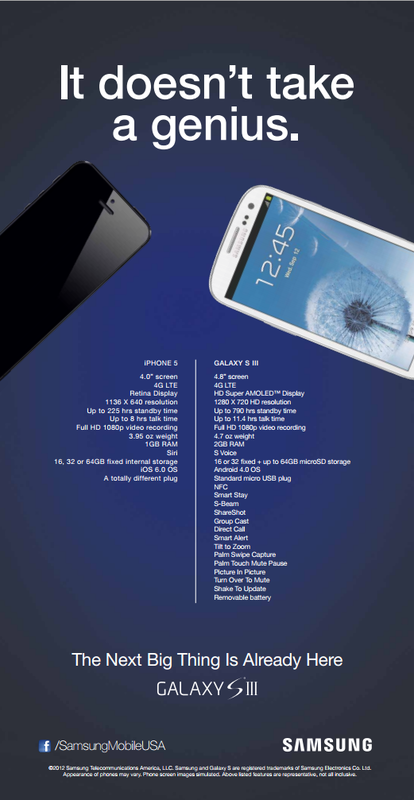 Comparing the new Apple handset to its own Galaxy S III, Samsung’s breakdown doesn’t seem all the close at all. Of course, there’s no mention of some of the exclusive features that come in the iPhone 5, but we’d hardly expect the same out of Cupertino. Having said that, the Galaxy S III does match up rather favorably on a number fronts. Have you see our head-to-head comparison and early match-up from last week?